Tool-box for efficient build and debug in Python. Especially for Scientific Computing and Computer Vision. A Tool-box for Efficient Build and Debug in Python. Especially for Scientific Computing and Computer Vision. Box-X is a Tool-box for Efficient Build and Debug in Python. Especially for Scientific Computing and Computer Vision. P.S. 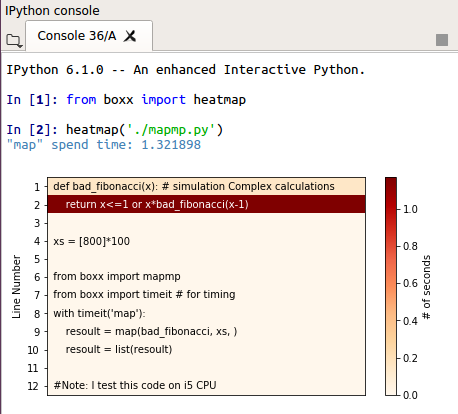 boxx supports both Python 2/3 on Linux | macOS | Windows with CPython | IPython | Spyder | Notebook environment. We use Binder to run Tutorial Notebook in an executable interactive online jupyer environment. That's mean you can run code in notebook rightnow in your browser without download or install anything. Then open ./tutorial_for_boxx.ipynb in notebook. Just view the Tutorial Notebook. Examples are divided into 2 parts too. General Python Tool on left, Scientific Computing and Computer Vision Tool on right. 💡 Note: p/x is easy to print value in expression. gg is the meaning of "to Global and log", has same usage as g, but gg will print the transported variable. if variable name exists in console before, the variable's value will be covered by new value. ▶ with p, with g, with gg are mulit variables version of p, g, gg that work under "with statement"
Only act on interested variables which is under "with statement"
with p, with g, with gg only act on assignment variables under "with statement". 💡 Note: If you are using ssh to execute code on a remote server, it is recommended that ssh plus -X make visualized plt charts can be transferred to the local and display, like ssh -x user@host. loga is short of "log array", loga will show many attributes of array-like object. show could find every image in complex struct and imshow they. 💡 Note: if args inculde function(like torgb). those functions will process all numpys befor imshow. like tree command in shell, boxx.tree could visualization any struct in tree struct view. 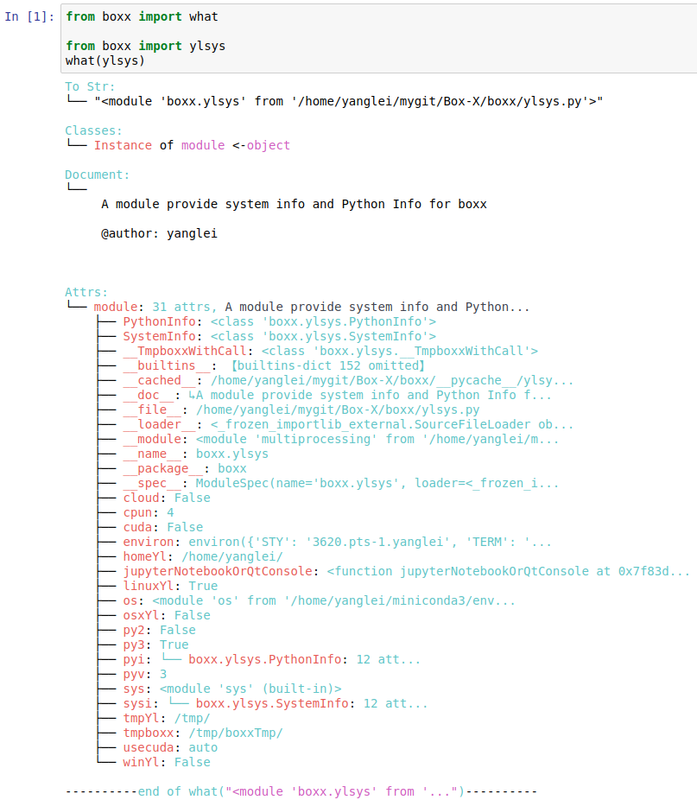 transport mean "transport variable to Python interactive console"
▶ what to know "What's this?" 💡 Note: what(x) will show "what is x?" by pretty print it's Self, Document, Father Classes, Inner Struct and Attributes. It is a supplement of help(x). 💡 Note: timeit will timing code block under "with statement" and print spend time in blue color. mapmp is the meaning of "MAP for Multi Process", has the same usage as map but faster. pool parameter in mapmp mean the number of Process, the default is the number of CPUs in the system. In multi process programs, display processing progress is troublesome. printfreq parameter in mapmp can handle this problem. Like map, mapmp support muliti args to as input to function, like mapmp(add, list_1, list_2). It's better to run multi process under __name__ == '__main__' environment. If you speed up the numpy program, note that in the MKL version of numpy, multiple processes will be slower. 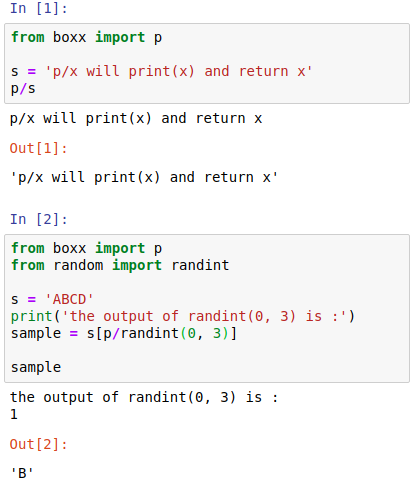 You can run boxx.testNumpyMultiprocessing() to test how friendly the current environment is to a multi-process numpy. 💡 Note: heatmap also support python code string. 💡 Note: performance also support python code string.